The violet flame is an invisible spiritual energy with the power to totally transform your life. 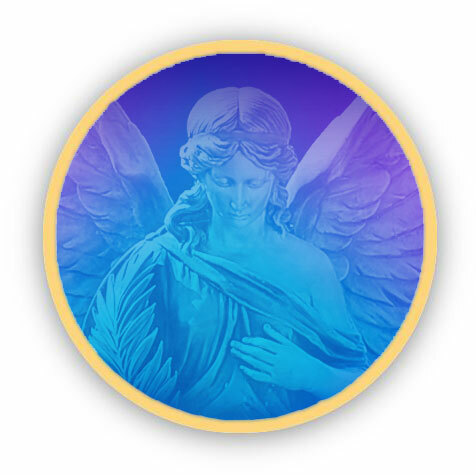 Before we get into the violet flame meditation I want to say that if haven't heard much about the violet flame before, read the violet flame page first. 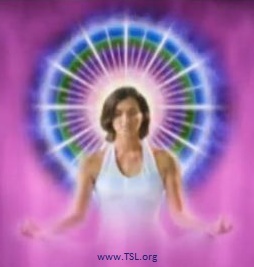 Visualization is key to the violet flame meditation. However, it's only through speaking that the atoms start to vibrate, move and change, under the direction of what you see in your mind's eye. Basically, you have to SAY it and SEE it. Fifteen minutes a day of violet flame decrees and mantras is ideal, but any amount will give some benefit. Once you've memorized one or two mantras, you'll be able to use them anywhere - while driving, walking, at work, or doing the dishes! And knowing the mantras enhances the violet flame mediation because then it's easier to concentrate on the visualisation. Sit with your back straight, legs and arms uncrossed. This allows the energy to follow along your spine and through the chakras - the spiritual energy centers in your body. Center your attention in the area of your heart and do your best to make contact with the presence of God within you. Visualize your heart glowing and emitting light rays like a sun. Repeat aloud your choice of mantras or decrees for at least 15 minutes (if possible) while keeping your attention on your heart. While reciting, visualize the violet flame surrounding you, and those whom you love, your home, city, country, the planet - according to your needs. If you'd like a deep and intense internal cleansing or healing, visualize the flame penetrating your whole body. Let it flow into your arteries and your veins, restoring them to perfect health. A very cleansing violet flame meditation. End your session by reciting the closing invocation. Longer version: In the name of the Christ Self and in the name of the living God, I call forth the energies of the sacred fire from the altar within my heart. In the name of the I AM THAT I AM, I invoke the violet flame to blaze forth from the center of the threefold flame, from the white-fire core of my own I AM Presence, multiplied by the momentum of the blessed Ascended Master Saint Germain. I call forth that light to penetrate my soul and to activate my soul memory of freedom and the original blueprint of my soul's destiny. I call forth the violet transmuting flame to pass through my etheric, mental, emotional and physical body and through my soul consciousness to transmute the cause and core of all that is less than my Christ-perfection, all that is not in keeping with the will of God for my lifestream. I AM a being of violet fire, I AM the purity God desires! (Name of your choice) is a being of violet fire, (name) is the purity God desires! My family is a family of violet fire, my family is the purity God desires! My house is a house of violet fire, my house is the purity God desires! (Name of city/town) is a city of violet fire, (city/town) is the purity God desires! I AM the Violet Flame in action in me now! Closing InvocationIn the name of the Christ within me, I ask that the light from these mantras and decrees be sealed in the physical plane and multiplied as cosmic law will allow, and I accept it done here and now according to the will of God. Amen. Copyright of the decrees and mantras on this page is owned by The Summit Lighthouse. Here is a mediation to expience your oneness with Spirit radiating the Light through your body. Now that you have the tools for your violet flame meditation, would you like to learn other spiritual practices?